Nope, it’s not just for your kilikili! Deodorant is definitely a mainstay in our kikay kits, especially come crunch time at the gym. But did you know that this essential can also be utilized in other ways? Here, a list of deo uses that go beyond your usual kilikili matters. 1. Prevent blisters and chafing. Apply deo on the sides of your feet or toes if they’re prone to blisters, and use it to stop the all-too-real and oh-so-painful problem of thigh chafing a la Amy Schumer. The deodorant formula serves like a lubricant and prevents skin breakage and irritation. Stick deos work best! 2. Stop sweat from getting in your eyes. Pouring sweat is annoying AF, especially when you’re trying to hold those tough core-strengthening exercises, doing jumping jacks, or running on the treadmill. Swipe a bit of clear deodorant along your hairline to keep that from happening—works better than a head band sometimes! 3. Instantly soothe irritating razor burns and insect bites. Because who in the world can concentrate on their Warrior 2 pose when they’re dying to scratch a part of their body, amirite?! Luckily, the aluminum salts in your deo can be a quick fix. 4. Keep sweaty, smelly feet at bay. The night before a workout sesh, swipe deo on the soles of your feet, throw on a pair of socks, and let the product do its magic overnight. You won’t need to use messy powders or expensive foot sprays just to prevent sweat and odor. 5. Extend the life of your gym wardrobe. 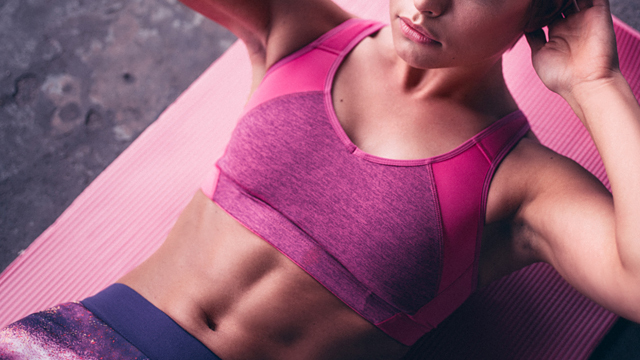 No one wants yucky deo stains on their precious workout clothes! Choose a deodorant like Belo Deo Clinical Strength, which is specifically designed for those who live an active lifestyle and those who sweat heavily. More than keeping your gym clothes pristine, it also provides maximum wetness and odor protection for 48 hours. No need to be afraid of sweating it out, girl! This article was created by Summit Storylabs in partnership with Belo Deo Clinical Strength.